Welcome to the August 2014 edition of the IPC e-newsletter. The IPC e newsletter is distributed free to more than 4000 people around the world. Nanoparticles in Dunkin’ Donuts? Do the math! Over the past couple of years a number of articles have been posted claiming that we’re eating more food products containing nanoparticles than we know (remember this piece from a couple of weeks ago?). One of the latest appeared on The Guardian website yesterday with the headline “Activists take aim at nanomaterials in Dunkin’ Donuts” (thanks to @HilarySutcliffe for the tip-off). While I’m sympathetic to the desire for consumers and consumer groups to know what’s going into food products, what caught my eye in this case is an analysis of the amount of nanoparticles in donuts that I just couldn’t make sense of. So I indulged in a bit of nano-donut math. First thought, the Guardian piece draws on the environmental group As You Sow’s campaign to raise awareness and transparency of the use of nanomaterials in food products, and their recent shareholder resolution to Dunkin’ Brands (who own Dunkin’ Donuts). This resolution requested that Dunkin’ identify products that may contain nanomaterials, and prepare a report assessing the risks of using these substances in foods. (18.7% of shareholders voted for the resolution). Hybrid Coating Technologies Inc. (HTC) is entering the wood protection coatings market with a new polyurethane patent that increased its coating's elongation by 300 percent. HTC is currently the exclusive licensee of Green Polyurethane coatings and paint, which eliminates a toxic chemical in conventional polyurethanes called isocyanates from the entire production process, the company said in a statement. Kansai Nerolac Paints today reported 19.77% increase in standalone net profit at Rs 72.98 crore for the first quarter ended June 30. The company had reported net profit of Rs 60.93 crore in the April-June quarter of 2013-14 fiscal. Net sales during Q1, 2014-15 were at Rs 921.07 crore, an increase of 16.61% as compared to Rs 789.81 crore in the year-ago period, the company said in a BSE filing. JENSON & NICHOLSON (INDIA) LTD. has reported financial results for the period ended June 30, 2014. The company has reported net sales of Rs.11.99 crores during the period ended June 30, 2014 as compared to Rs.13.14 crores during the period ended June 30, 2013. AMHERST, OH, May 09, 2014 – Nordson Corporation (NASDAQ: NDSN) recently received 2014 Ringier Technology Innovation Award, which is regarded as the most important award in China’s coatings industry. The award was presented to the Nordson Encore PE powder spray guns for its excellent coating performance in PE coating application. This is the second time Nordson has won the prize. The awards ceremony was held at the Shanghai Marriot Hotel Parkview on May 9, 2014, as the highlight of the 2014 China Coatings Summit. Coatings and Ink China – the leading market magazine published by Ringier Trade Media – announced the winners of the 2014 Ringier Technology Innovation Awards for the Coatings Industry. Twenty-five winning companies featured their innovative products and technologies across seven categories: Resins, Pigments, Additives, Machinery and Equipment, Green Coatings, Emulsions, and Technology. The Encore PE powder spray gun system was the only winner from coating equipment category. PPG is in the process of expanding its coatings business, having just bought Pittsburgh, US-based competitor Masterwork Paint Company for an undisclosed sum. With the new government all set to take charge, CII National Committee on Chemicals has put forth its expectations from the new government for the benefit of the chemical industry. Given below are some of the recommendations for the chemical industry. India’s state-owned National Aluminum Co Ltd (NALCO) has signed a Memorandum of Understanding (MoU) with another public sector company, Indian Rare Earths Ltd (IREL), to jointly set up a titanium slag plant. That could be good news for India’s space program. Why? The project envisages adding value to Ilmenite, a titanium-iron oxide mineral, to produce the slag. Slag is an intermediate product for making titanium sponge and titanium pigments. Titanium sponge is a porous substance formed in the first stage of processing of the naturally available titanium. The latter is high strength but has low density properties, and is also corrosion-resistant. It’s widely used in the manufacture of aircraft, among other things. Titanium-alloy components are also used to make missiles and satellite launch vehicles. Axalta Coating Systems, a leading global supplier of liquid and powder coatings, is pleased to announce the expansion of its powder production facility in China. New capacity will be added at the Qingpu manufacturing center of Axalta’s powder coatings partner Huajia Chemical Co. Ltd. and will double production to meet the rapid growth of the east China powder coating market. Huajia is a subsidiary of Yongjia Chemical Co. Ltd. The plant will add a new production workshop, increase the number of manufacturing lines, increase color matching capability, install special manufacturing equipment and is designed to ensure shorter delivery lead times. BASF, the world’s leading chemical company, today broke ground on the second phase of its Innovation Campus Asia Pacific at its Pudong site in Shanghai, China. The Euro 90 million expansion consists of an additional regional research and development (R&D) building and auxiliary facilities and it will be completed by the end of 2015. US coatings specialist PPG Industries has agreed to buy Mexican architectural and industrial coatings firm Comex for $2.3 billion (£1.3 billion). The deal will give PPG a manufacturing and distribution network for architectural paints across Mexico and Central America, where it currently has negligible presence. SHANGHAI--(Business Wire)--Axalta Coating Systems, a leading global supplier of liquid and powder coatings, is stepping up its efforts to expand its product offerings in China. Manufacturing capacity for new modified polypropylene powder products will be added to the Huangshan operations center of Axalta’s powder coatings joint venture - Huajia Chemical Co. Ltd. This new high performance thermoplastics powder coating will meet the increased domestic demands for thermoplastic coatings in China. Huajia is a joint venture that Axalta Coating Systems shares with of Yongjia Chemical Co. Ltd. The new modified polypropylene powder coatings have significantly higher corrosion resistance than can be achieved with other powder coatings. Due to increasing demand for this exceptionally durable coating, Axalta and Yongjia have made the decision to develop manufacturing capacity in China in order to meet the growing demand from local customers. By adding capability for cryogenic milling to the Huangshan factory, Axalta and Yongjia will make this important commitment to customers in China which can significantly shorten the lead time previously required to supply domestic customers. Sandia National Laboratories has come up with an inexpensive way to synthesize titanium-dioxide nanoparticles and is seeking partners who can demonstrate the process at industrial scale for everything from solar cells to light-emitting diodes. Titanium-dioxide (TiO2) nanoparticles show great promise as fillers to tune the refractive index of anti-reflective coatings on signs and optical encapsulants for LEDs, solar cells and other optical devices. Optical encapsulants are coverings or coatings, usually made of silicone, that protect a device. Industry largely has shunned TiO2 nanoparticles because they’ve been difficult and expensive to make, and current methods produce particles that are too large. Sandia became interested in TiO2 for optical encapsulants because of its work on LED materials for solid-state lighting. Current production methods for TiO2 often require high-temperature processing or costly surfactants – molecules that bind to something to make it soluble in another material, like dish soap does with fat. Those methods produce less-than-ideal nanoparticles that are very expensive, can vary widely in size and show significant particle clumping called agglomeration. Sandia’s technique, on the other hand, uses readily available, low-cost materials and results in nanoparticles that are small, roughly uniform in size and don’t clump. Jotun Australia has introduced one of the most efficient thin film passive fire protection coatings formulated to provide protection for up to 180 minutes in steel structures. The new Steelmaster 1200WF is a highly efficient intumescent coating that protects infrastructure buildings against cellulosic fire. The latest addition to Jotun’s Steelmaster range, Steelmaster 1200WF is developed to meet the challenging demands for passive fire protection (PFP). Steelmaster 1200WF completes Jotun’s range of PFP products, enabling the company to strengthen its position within the thin film PFP market. Steelmaster 1200WF fire protection coating is engineered to protect the structural steel in public buildings including airports, hotels, train stations, schools, stadiums and malls, with its thin-film consistency allowing more surface area to be covered with less paint, thus reducing application time and cost. 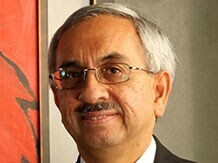 Asian Paints, on a consolidated basis, has posted a 23 per cent rise in net profit at Rs 338.70 crore (Rs 275.2 crore) for the first quarter ended June 30, 2014. Income from operations rose 18.3 per cent to Rs 3,362.20 crore from Rs 2,841.10 crore. On Tuesday, the company scrip was trading at Rs 602.70 at 2.50 pm on the BSE. 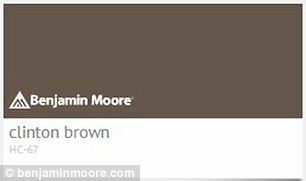 A black New Jersey man is suing his former employer Benjamin Moore for discrimination after he says the paint company named two brown paint tones after him. Clinton Tucker's suit claims he was given the boot in March after he repeatedly complained about the colors Tucker Chocolate and Clinton Brown. Tucker alleges one of the colors was a part of the company's Williamsburg Collection, a project he helped market. A New Jersey man named Clinton Tucker is suing former employer Benjamin Moore, claiming discrimination regarding the paint company's colors "clinton brown" and "tucker chocolate." 'Despite [Tucker's] repeated complaints and protestations to BM management about these appallingly racial color names, no action was ever taken by Benjamin Moore to change the names of these colors,' reads the suit. It was interesting to meet K Kumar from Hexagon Technologies (Chennai) while his visit to Indore. Kumar discussed about the wide range of masking products, hooks and suspensions which their company has introduced. Hexagon Technologies India has been in business for several years, is involved in supplying powder coating plants and equipments. It was formed with an objective to become a major player in this field, targeting small to large scale industry.